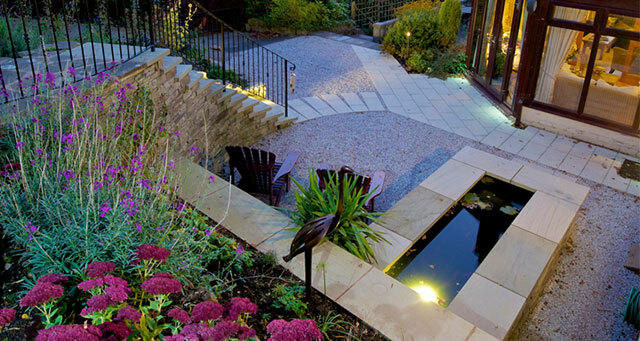 A beautiful outdoor living space tailored to your needs and aspirations. Jacquetta’s design skills create well proportioned spaces, taking their inspiration from the surroundings. Materials are locally sourced wherever possible. Planting is carefully chosen for colour, shape, scent, productivity and to suit the locality. Jacquetta is a professionally qualified designer; a Registered Member of the Society of Garden Designers and the British Association of Landscape Industries. She has the skills and experience to guide her clients through the different stages of the design and construction of all types of project; country estates, gardens for new houses, steep sloping gardens, overgrown gardens, kitchen gardens and many more. She won the BALI Principal National Landscape Award for Excellence and the RHS Show Garden Silver Medal.